Pittsburgh Career Institute has a dental assistant program that is designed to help students prepare to become licensed dental assistants. The director of the program, Ms. Christine Skolyak, has been instrumental in making the program what it is today, so we are featuring her and highlighting the great work she is doing. She’s an important part of the PCI family not only because of her strong teaching skills, but also because of the way she goes above and beyond for her students. Ms. Skolyak got her start in dental assisting work as a dental hygienist. She graduated from West Liberty State College in West Virginia with her degree in 1989. From there she passed her certification exam and has been practicing ever since! She started out as a dental hygienist, and during that time she also obtained her license to administer local anesthesia to expand what she could provide in a dental office. 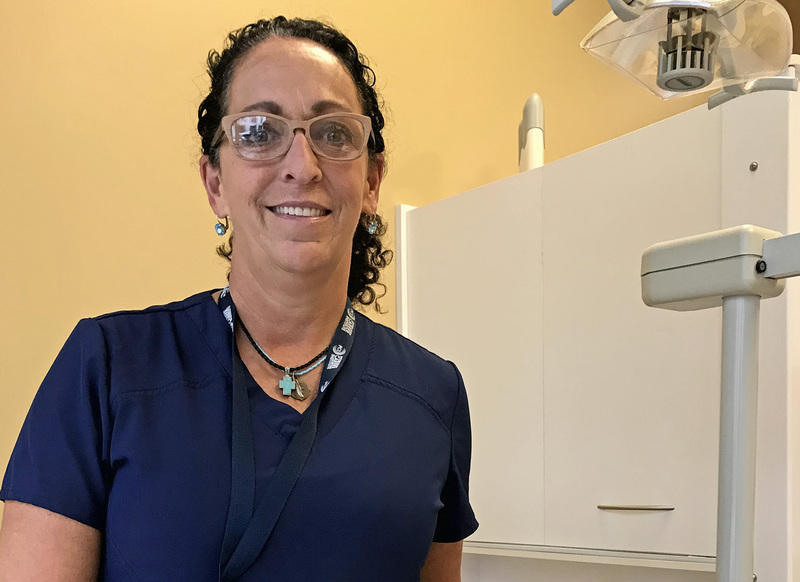 Ms. Skolyak joined PCI with the goal of creating a dental assistant program that has a stronger clinical focus and less focus on textbook or dental assisting theory. For many students who are interested in dental assisting, they choose this education because it doesn’t require them to do book work and theory at the level they might have to in a four-year college. Ms. Skolyak wants the program to be focused on helping students to feel confident and prepared to work in a dental office. One of the things that Ms. Skolyak loves about teaching at PCI is the campus. She says that the campus is modern, updated, and there is no shortage of equipment or supplies for the students to use. It feels very similar to a real dental office, and offers our students a tremendous opportunity to learn in an environment that can simulate life after school. This upkeep to the dental lab is important for the students because the dental industry is always changing and growing, so the way we teach students must also evolve if we want graduates to be prepared to enter the workforce. Students need to come in with an open mind. When they leave here they are going to be a healthcare professional. We can prepare future students to be professionals, they just need to be open-minded and able to make changes. As a student you have to wear scrubs, have your hair pulled back, and learn as though you are a professional in the field. We play like we practice, so that’s why we place such importance on bringing the clinical environment to the classroom. The classroom is the dental office. We couldn’t agree more! Ms. Skolyak’s method of keeping the classroom clinical is a fantastic way for us to simulate what it will be like for many of our graduates once they’re in the field. Pittsburgh Career Institute is dedicated to helping students prepare to enter the field as confident dental assistants. If your dream is to work in the healthcare field as a dental assistant, Pittsburgh Career Institute can give you the foundation you need to get started! Contact us to learn more about our dental assisting program, or visit our programs page to explore more career possibilities for yourself!